The beloved, family favorite game, Kerplunk, has developed a rather "Despicable" disposition. 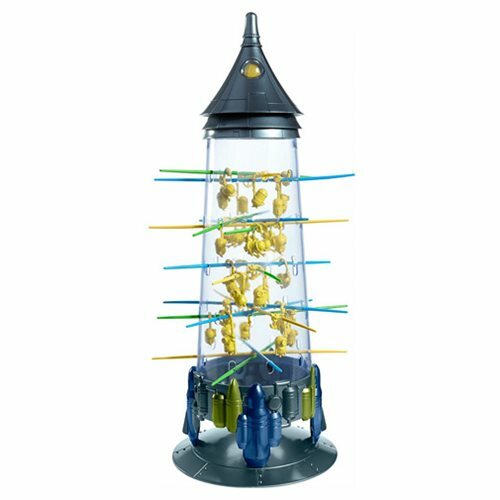 This Despicable Me Minions Kerplunk Game features a reimagined design based off the hilarious, yet heart warming movie Despicable Me. Place the sticks through the holes in the Ray Gun Tower then position the 30 minions on the sticks. Use the spinner on the top of the tower to determine what color stick is to be removed first. Drop the fewest Minions and win the game! Made 2 to 4 players, people of all ages will enjoy this modern twist on a classic game.